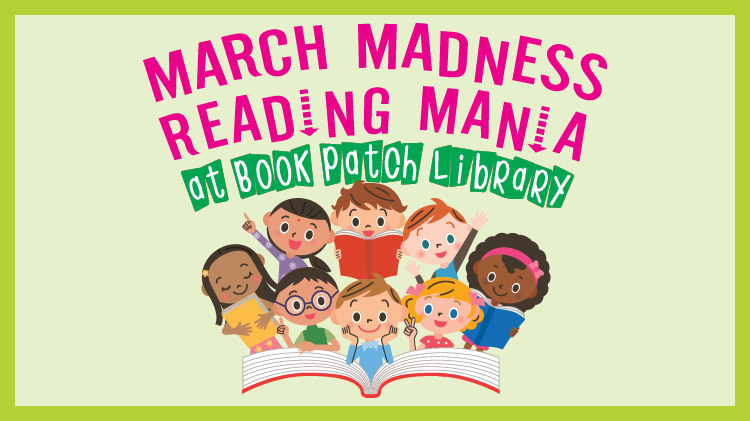 Date: Mar 1 2019, 12 a.m. - Mar 31 2019, 11:59 p.m.
Pre-readers, early readers and chapter readers, stop by Book Patch Library in March and check out some crazy cool books. Every time you check out books you'll be entered to win prizes! Pre-readers & early readers -10 books or more. Chapter readers - 3 books or more. Two winners will be notified every Friday.